The last public main-line slam door service passes through Sway with the down 'Seaside Slammer' special at 11.59 on Saturday 18th June 2005. The working, made up of 4-VEP 3417 'Gordon Pettit' and 3-CIG 1497 'Freshwater' ran from London to Weymouth and return. 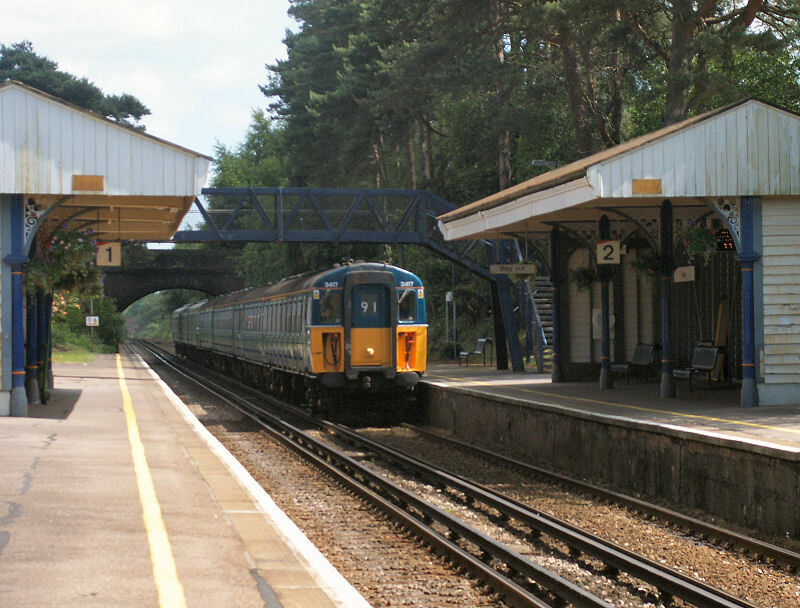 Slam door stock will remain in service on the Lymington branch line - the last remaining operations with slam door stock on the South West Trains region.